As much as my days of all black dress, dark heavy eye makeup and ultra gothy vibes have passed me by, I still get pangs of excitement deep in my chest whenever I see anything styled remotely Gothic and Medieval. 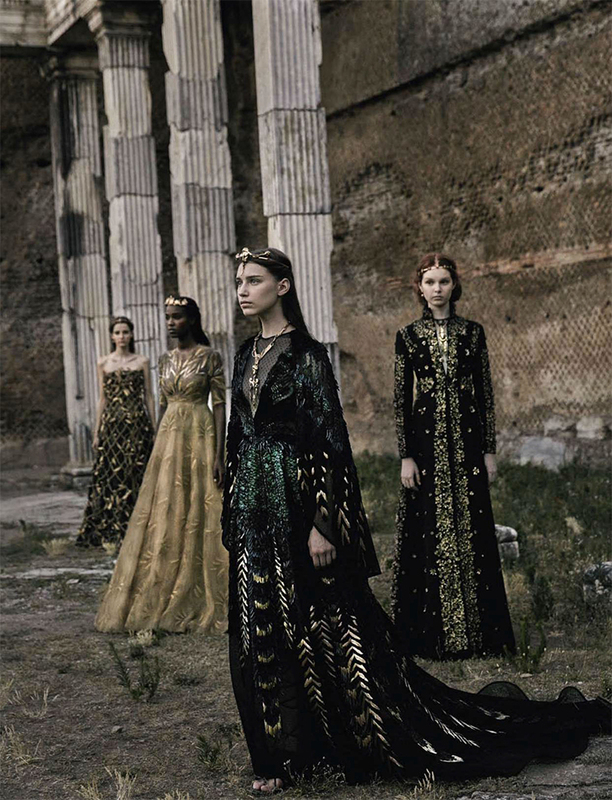 So it’s no surprise these images in Vogue Italia made me stop dead in my tracks. 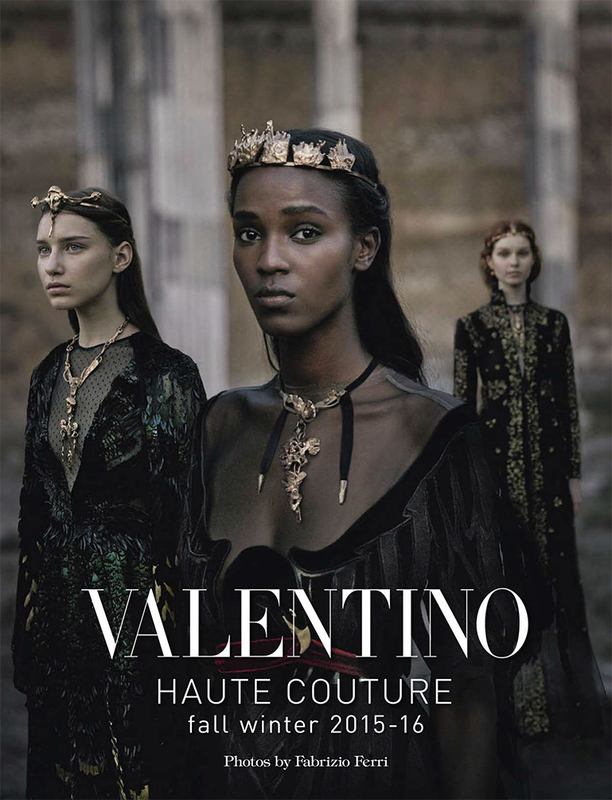 Valentino always, always brings out some of the most stunning garments that seem more works of art than actual articles of clothing, but it no less makes me wish I was the type of person who had a place to wear gowns of such luxury. 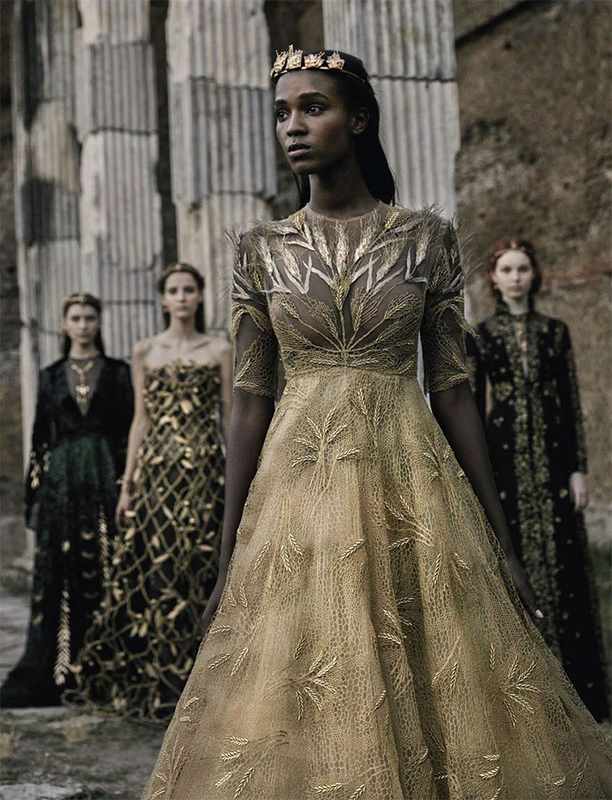 The starting point for this particular collection was Rome, which feels like the most suitable place to adorn intricately embroidered gowns and heavy metallic accessories with a stoic disposition. 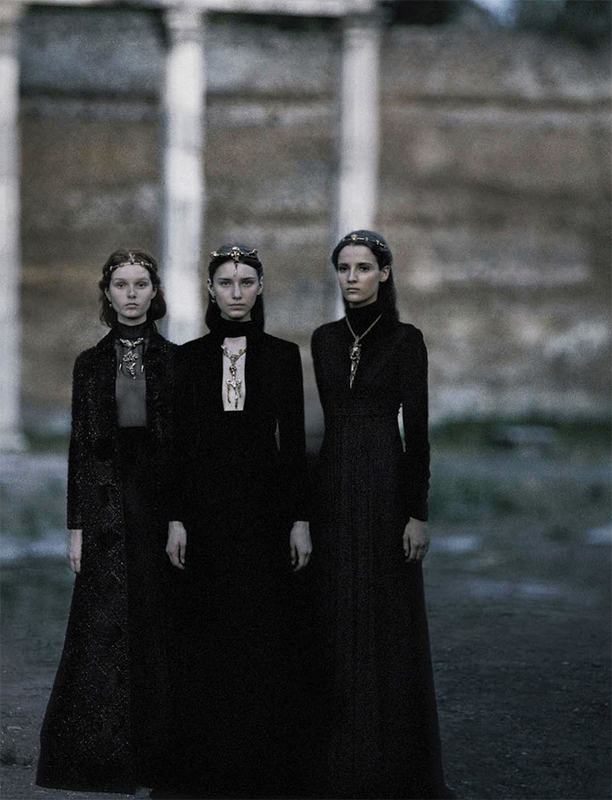 I wish I could transport myself into these images so I could be a part of this gothy, sullen world. When in Rome, right? !